I’m a late bloomer when it comes to makeup. When I was in high school my classmates already experimented with lipstick while I stuck to lip balm (that wasn’t even tinted/colored in any way). By the time I got to college I knew I should start so I used face powder and tinted lip balm. I think I worked my way to the lipstick and blush midway through college. The one thing that I have been obsessed about since I started wearing makeup has been my lips, particularly red lips. I don’t think that I’ve ever had the perfect red lip in all my years of buying and using makeup. I’ve tried several brands from the expensive to the very affordable and many different shades of red. I’ve mixed and matched lipstick, tinted lip balm, lip gloss, lip tint, lip liner, lip crayon, powdered lip color, liquid lip color, matte lip color and so on and so forth but I’ve never been satisfied with the color I get. I think I’ve tried almost every kind of red and type of lip coloring method in the last 20 years without finding my perfect fit. I’d love a red lip that stands out but not in a way that makes me look cheap or makes me come on too strong. I still want it to look natural on my face and make my teeth look whiter without making it too extreme. I know it’s too much to ask for a lip shade, but I just want it to look as good and as natural as how Taylor Swift wears it, you know what I mean? Some lip colors look perfect in magazines or when I check out samples but when they’re on my lips, they just don’t make the cut. Some turn out looking a bit orange, sometimes pink and sometimes even a bit on the maroon-ish side. Sadly, now that I’m in my 40s the whole red lip thing doesn’t seem to fit me anymore. I know that makeup doesn’t have any age limit but these days I’m happier wearing more neutral tones – I’m more into the natural glow look instead of a pop of color. I still try to wear the red lip sometimes when I want to feel confident but for the most part, it’s just not me anymore. These days, the reds that I’ve been using are from two brands, Maybelline and Avon. 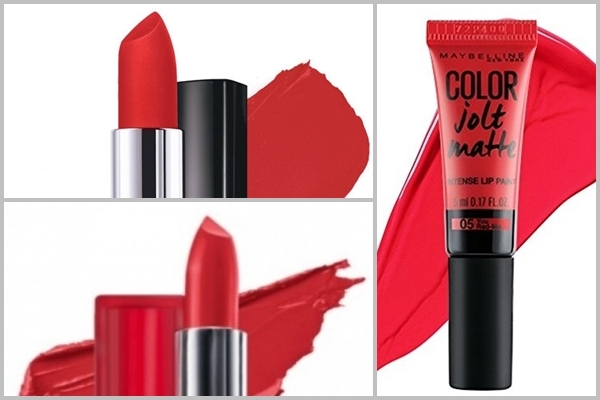 For Maybelline I use Color Jolt Matte in You Red Me (05), Rebel Bouquet (01) and Color Show in Bold Crimson. 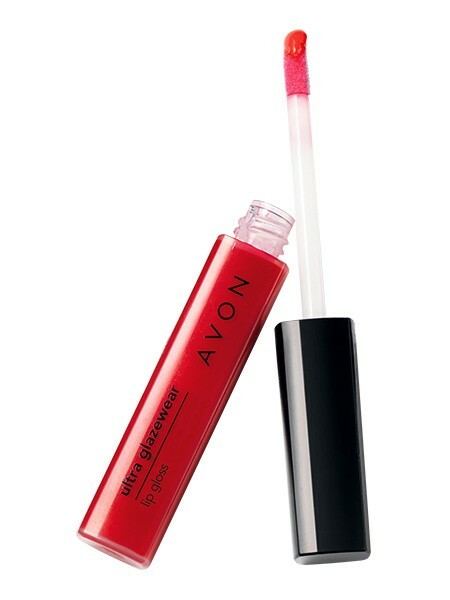 For Avon it's Ultra Glazewear Lip Gloss in Fiery Red. I mostly use Avon's lip gloss since it's not too strong on me but when I feel like stepping it up a notch at night I use Maybelline's Color Jolt Matte (You Red Me) or Color Show (Crimson). I sometimes use Rebel Bouquet 01 at work but it's not that often, since I find myself feeling too old for the red these days. These shades are the closest I've got to a Taylor Swift red though. Avon is my go-to red lip solution for when I want some red but not too much! I'm thinking of trying lip colors from Anne Curtis' Blk Cosmetics and Vice Ganda's Vice Cosmetics in the future. So far there are a lot of potentially good reds from Vice's collection compared to Anne's but I'm willing to give both a shot. We'll see. I've heard that there is a Kris Aquino collection too so I just might check that out. Do you know of any other lip color shades and brands I could try? Please leave a comment if you have one in mind!